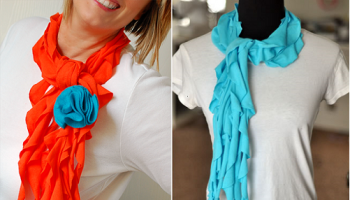 Scarves are fashion accessories that keep you warm and stylish. 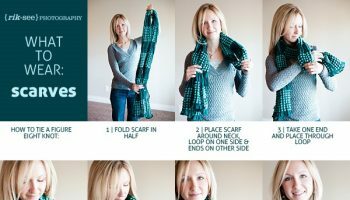 However, with many scarves comes the need for some great organization so that you don’t find them scattered all over the house. 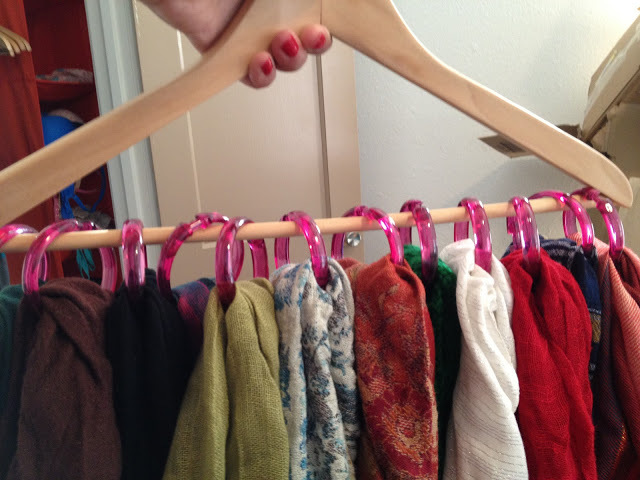 If you`re a scarf lady, this project will inspire you to make an awesome scarf hanger by yourself. 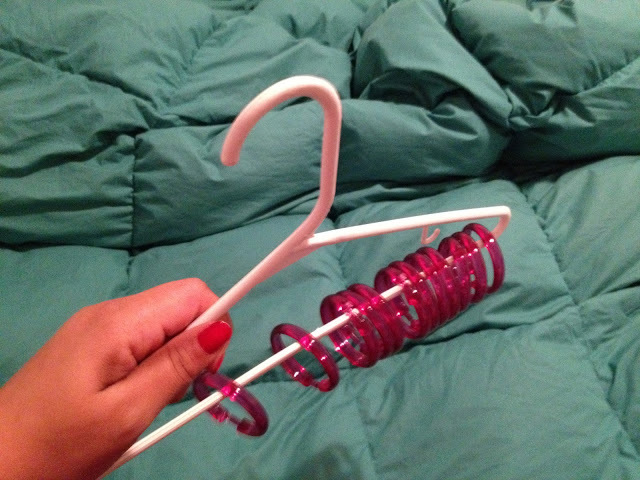 You will need a hanger and some shower rings. 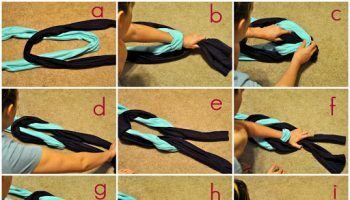 It is very simple and easy to do and, as you can see, you can hang many scarves. 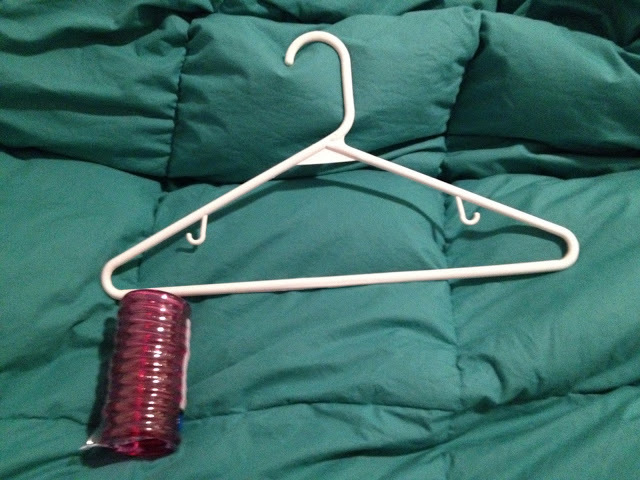 All you have to make is to pass the hanger through the opening of each ring. 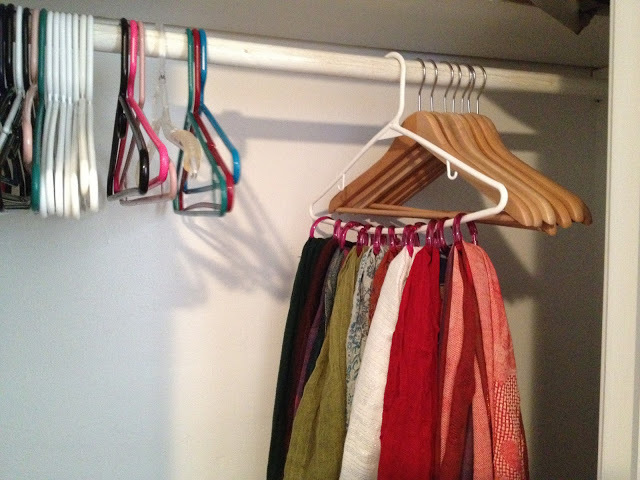 It is recommended to use a sturdy wooden hanger to avoid bending the plastic one too much. 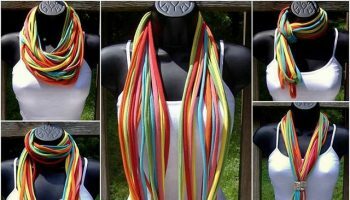 Now, you can keep your collection of scarves organized and wrinkle-free. The amazing thing is that this hanger provides easy visibility and accessibility to your collection without taking up a lot of space on your closet rod. Enjoy!